As manufacturer Nabertherm offers an extensive range of protective atmosphere furnaces. Nabertherm's protective atmosphere furnaces can be used in all areas of technology, particularly in the automotive and aircraft industry. The main objective of treating a component in the protective atmosphere furnace is to improve its mechanical properties. The protective atmosphere furnace can reach a maximum temperature of 1300 °C. 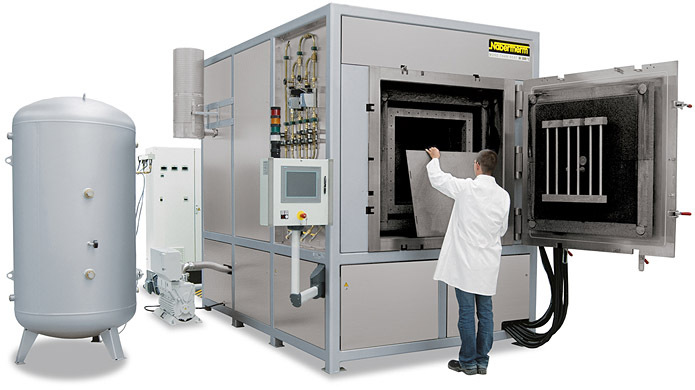 Further information on Nabertherm protective atmosphere furnaces.